A new popular flooring trend is the use of wood look tile. This type of tile is not new to the flooring market, but recent advances in the specialized technology used in the manufacturing process have recently led to an increase in its popularity. 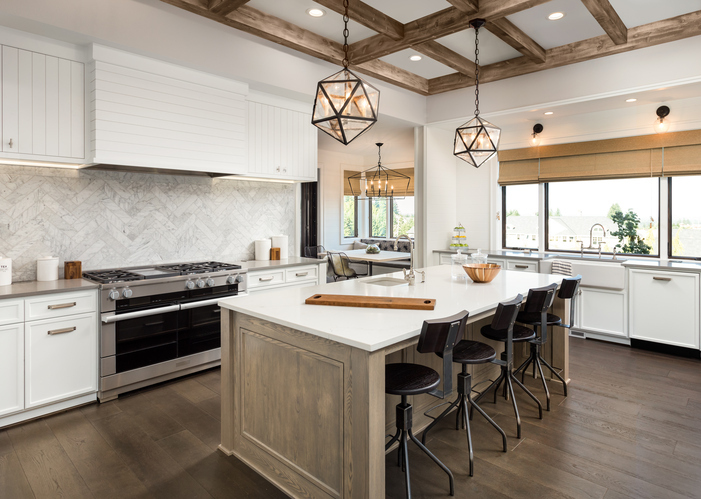 A leading natural stone and ceramic tile manufacturer since 1947, Daltile currently offers ten lines of wood look tiles, each one featuring color variations and a specific aesthetic. They offer a wide variety of sizes to choose from and a distinct collection of tiles with the look of worn-out weathered hardwood. The first thing you notice with wood-look tile is the graphic. This is the wood grain and color that is printed on the tile. Specialized technology can be used to scan real wood and replicate it on tile with ink jet printing. Realistic wood graphics should have color variation with highlights and lowlights. Knots and other irregularities make the graphic look more realistic. Also look for a high number of “faces” in the wood-look tile. Faces are how many individual tiles in a series have a different graphic before it starts repeating. The higher number of faces, the more authentic the tile looks. Structure is produced by the tile mod and puts texture on the surface of the tile that enhances the grain. Other elements of structure that lend authenticity are hand-scraped textures, divots, and chatter marks. These all are found in real wood flooring and add to the rustic nature that is inherent in natural wood. The surface finish is another thing to look for when looking for the most realistic wood-look tile. As with natural wood flooring, some finishes are polished and bright, others are more matte and rustic. Wood-look tile offers the same thing. Newer to the market is a higher gloss tile finish for a clean, polished, and modern looking wood floor. Finding a realistic wood look is really about the details. A complex grain, touchable texture, and a finish that echoes real wood make for tile that’s hard to tell apart from the real thing without a very close inspection. Visit Fred Callaghan Carpet & Flooring for a complete selection of Daltile wood look tiles. HOURS: Monday-Friday: 9am-5pm, Saturday: 10am-4pm, Closed Sunday. Copyright © 2019 · Fred Callaghan Carpet and Flooring Center · All Rights Reserved.